As the Australian Broadcasting Corporation (ABC) reports, a money-laundering alarm was triggered at AmBank in Malaysia, a bank part-owned by one of Australia’s “big four” banks, ANZ. What had triggered the alarm? Money had poured into the personal account of one of the bank’s customers, a certain Mr. X, in truly staggering amounts. Hundreds of millions of dollars were paid into the account of Mr. X by a Saudi prince described as “mysterious”, and two British Virgin Island companies characterized as “shadowy”. Overall, more than $1.05 billion landed in Mr. X’s private account in a little over two years. This was bound to raise eyebrows, considering Mr. X’s official salary only amounts to approx. $100,000 per year. Not a bad salary to be sure, but even if he were to save half of it every year, it would take him 210,000 years to save up $1.05 billion, not just two. Obviously, with such convincing assurances accompanying the big deposits, there was little reason to suspect Mr. X of any wrongdoing. Malaysia’s central bank governor assured ABC though that there is still an “ongoing investigation”, even after the (new) prosecutor-general shut down a corruption probe of Mr. X in January (his predecessor planned to lay criminal charges against Mr. X and was removed from office a few days before he could do so). The Virgin Island companies, “Blackstone Asia Real Estate Partners” and “Tanore Finance” were no slouches either, with the latter wiring $680 million into the account of Mr. X in a single month. We imagine that any normal tax serf would have been visited by nosy government minions for a little quality inquisition time shortly after receiving the first of this series of large deposits – exonerating letters from mystery princes notwithstanding. Mr. X – the codename that has actually been assigned to him at AmBank – has evidently been spared such indignities. 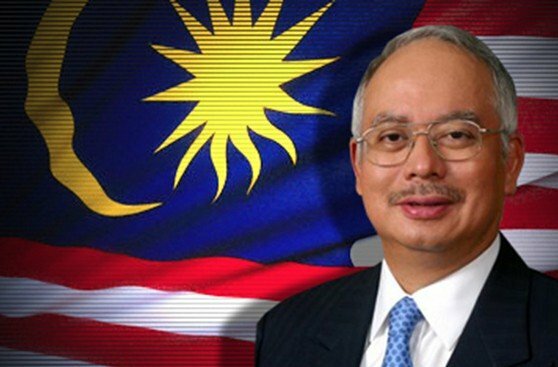 The reason is that he is otherwise known as Najib Razak and has been Malaysia’s prime minister since 2009. The revelations about the prime ministers account are connected to the so-called 1MBD scandal involving Malaysia’s sovereign wealth fund. The fund has been an utter disaster, “mislaying” some $4 billion in total – and its advisory board is chaired by none other than Najib Razak. Two things have piqued our interest: for one thing, we were beginning to wonder about the fact that Najib Razak actually remains in office and has so far successfully deflected all attempts to unseat him over the scandal, including massive public protests (however, the air is clearly getting thinner now). Secondly, ABC has recently sent a team of investigators to Malaysia, who were briefly arrested after attempting to ask the prime minister a few questions. For a while it looked like they may actually face jail time, but that was probably considered one step too far and they were let go after two weeks. They were in Kuala Lumpur while filming a documentary on the still burgeoning scandal. Pater Tenebrarum is an independent analyst and economist and social theorist. He has been involved with financial markets in various capacities for about forty years and currently writes economic and market analyses for independent research organizations and a European hedge fund consultancy as well as being the main author of the acting-man blog.